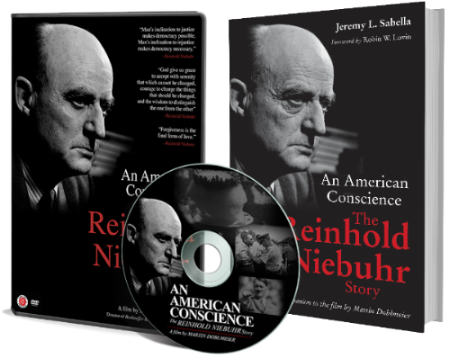 Last year the response to our film An American Conscience: The Reinhold Niebuhr story was terrific. 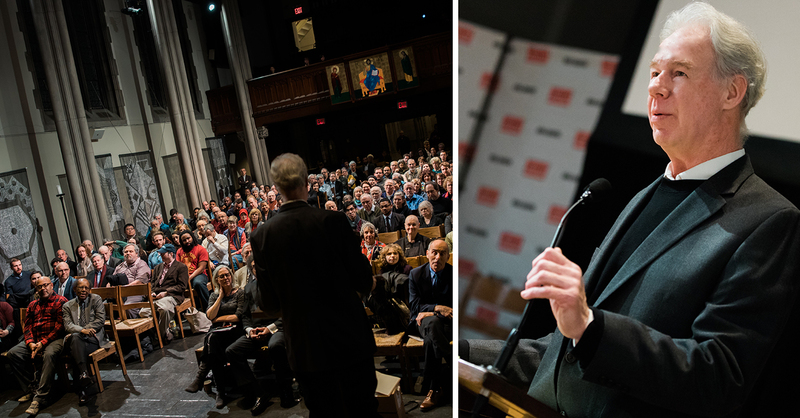 More than 40 events were held nationwide and thousands came to see the film and participate in dynamic discussions with people like Cornel West, Robin Lovin, Gary Dorrien and others. 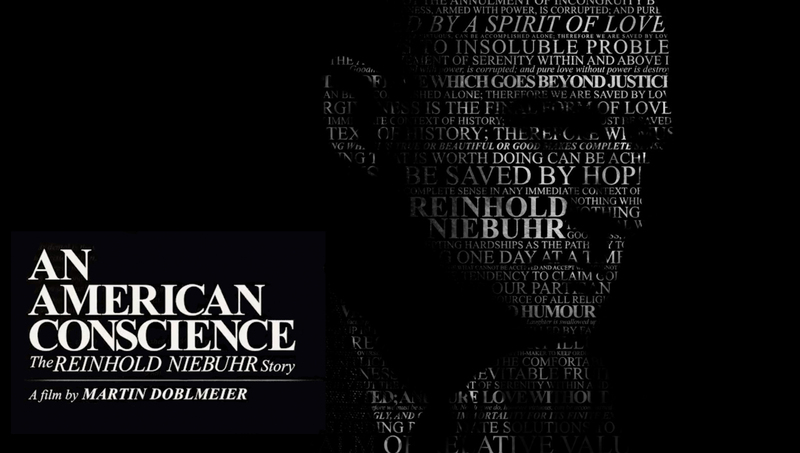 The film continues to air on PBS stations and the DVD continues to be very popular. Union Seminary event - with theologian James Cone in the front row. As a result, we are now in production on a new series of biographical documentary films on great religious figures of the 20th Century. The first is the great African-American theologian Howard Thurman. 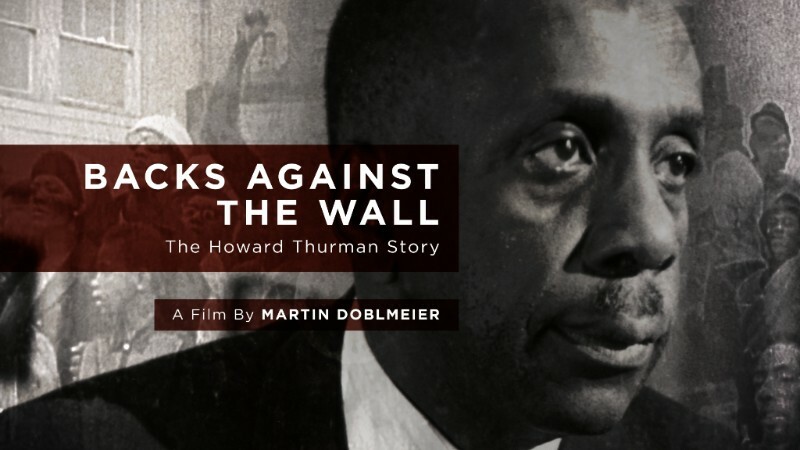 It is called Backs Against The Wall: The Howard Thurman Story. Thurman was a key influence on Martin Luther King, Jr., the Civil Rights Movement - and a pioneer in interfaith and intercultural community building. The film features Rev. Jesse Jackson, Sr., Congressman John Lewis, writer Barbara Brown Taylor and many others. This spring and summer we welcomed some amazing new talent to Journey Films. Deryl Davis, who worked on a number of our Adventist productions and left to finish his Ph.D., has rejoined Journey. We also welcomed Associate Producer Carrie Lemaster, Director of Photography Mark Comberiate and Production Assistant Tiana Young.